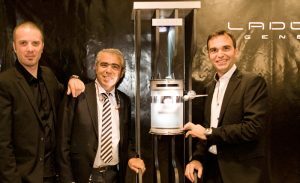 Lionel Ladoire and Richard Piras, LADOIRE Genève’s Chairman Founder and Managing Director hosted over 200 guests to unveil Swiss watchmaker first collection, Roller Guardian Time. A thrilling event organized in partnership with Sotheby’s the oldest fine art auctioneers in the world and the leader in this domain in Paris. 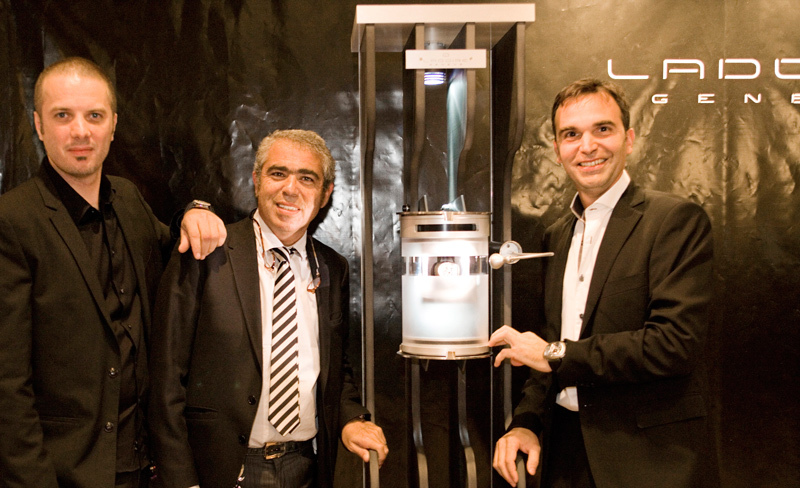 Paris, September 22th, 2009 – Roller Guardian Time, the first LADOIRE collection was for the first time showcased in France on September 21st. Available since August at famous and renowned Parisian watch boutique Chronopassion, Swiss watch brand, LADOIRE organized a VIP and press event in close partnership with Sotheby’s, the oldest fine art auctioneers in the world, to showcase the full Roller Guardian Time range. As largest and leader in this domain in Paris and Reference in horology, Sotheby’s was the perfect partner for LADOIRE. LADOIRE’s presentation took place during the exhibition cocktail of Photography, Fine Art and Furniture Sotheby’s upcoming auction. Over 200 guests gathered at famous Charpentier Gallery for first LADOIRE’s event held in Paris, emphasizing the importance of French market for the Swiss watchmaking Brand. Amongst the guests who took part were many clients, VIPS, collectors, watch aficionados and connoisseurs. The 6 exceptional models of RGT collection attracted a lot of guests’ attention. Highlight of the presentation, the Sur-Mesure line made of 3 exclusive and totally customized pieces Black & Black, Haute Couture and Hot Snow watches were particularly appreciated. 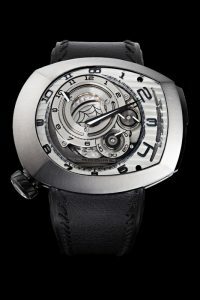 Founded in 2007 by Lionel Ladoire and Richard Piras, the eponymous company has positioned itself in the luxury sector, on the market of high-end Swiss watches with complications. Lionel Ladoire, passionate in micromechanics and after 20 years in the sector of fine jewelry, is at the heart of Ladoire products. He designs and develops timepieces that are full-blooded and exclusive. Richard Piras, 15 years of experience in financing technology and innovation management, engineer by training, organizes the industrial and marketing development of the company. Frédéric Esnoult, watchmaking expert in the creation of exceptional complications and in the art of “tourbilllon”-making, brings to the young brand his knowhow and expertise. 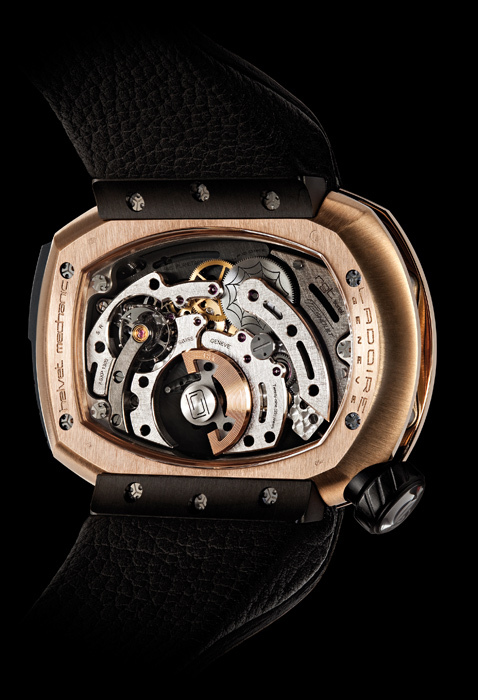 First timepiece created by LADOIRE, RGT – Roller Guardian Time – has a mechanical movement with automatic winding mechanism, totally exclusive and features a neo-classical design of the most daring. Result of a cutting-edge technology, this innovative timepiece is already hailed by specialized watch Medias. Fully tailor customizable, RGT is available in 3 basic versions: red gold, white gold and titanium, globally named the Regular line. 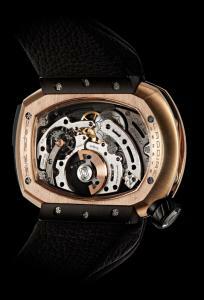 In 2009, the exclusive production of LADOIRE timepieces will reach a total of 60 pieces.